Pankaj has 12 years of work experience on Microsoft technologies and working as Lead Application Developer in Fujitsu Consulting India. 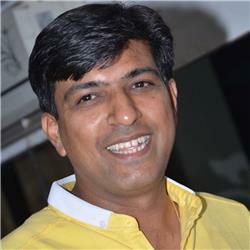 He worked on various flavors of Microsoft as ASP.Net, VB.Net, C#, Azure, SharePoint 2007,VB6, WCF, Web Service, SQL Server. He is C#Corner MVP and writing article ,blogs on C# Corner from last 2 year. He speaks at various topics in Pune ,Mumbai and Delhi chapter events.